Yesterday was Earth Overshoot Day – but unlike Earth Day, this is no occasion to celebrate. As of August 2, 2017, humans have officially used more natural resources than the Earth can replenish in one year. From now until the beginning of 2018, every natural resource used is considered unsustainable. 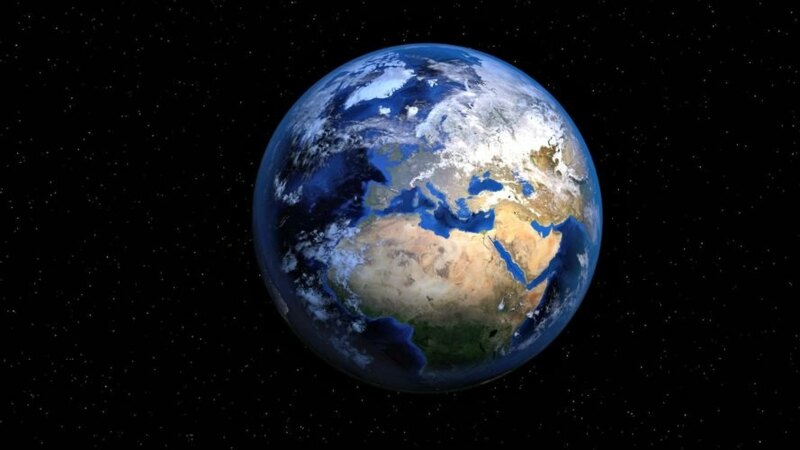 The Global Footprint Network can be calculated by dividing the number of ecological resources which are produced annually by humanity’s ecological footprint. That number is then multiplied by 365. The resulting data reveals the day every year that is the maximum date humans have before overshooting the “sustainability mark.” Unfortunately, that day arrived just slightly over halfway through 2017. 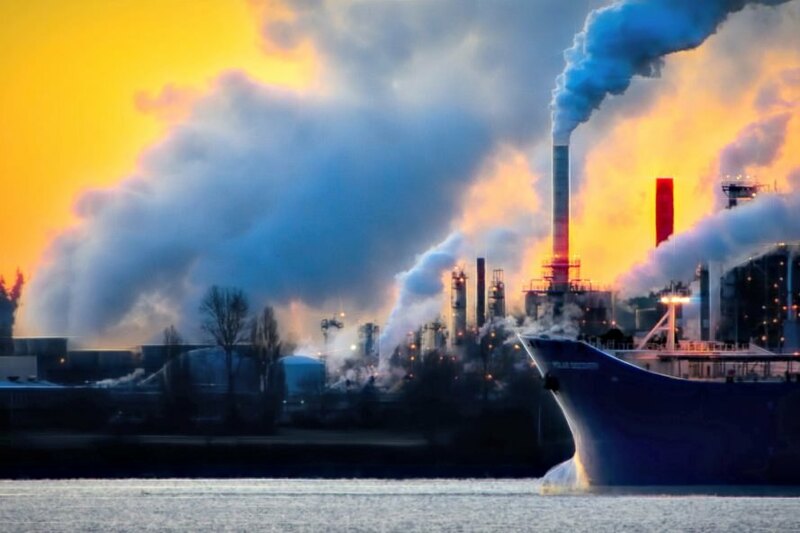 According to the Earth Overshoot Day website, there are three main culprits to blame for the depletion of natural resources: overfishing, deforestation and the emissions of CO2. Deforestation is a primary concern as approximately 130,000 square kilometers (50,200 square miles) of forested land is removed every year, according to WWF. To put that into perspective, consider that is roughly the size of England. Effects of deforestation including habitat loss, reduced oxygen output and decreased animal populations. Large areas of woodlands are burned as well, releasing vast amounts of CO2 into the atmosphere. Every year, an estimated 38.2 billion tons of CO2 enter the atmosphere as a result of human activity. Because CO2 is a greenhouse gas, it produces an “insulatory effect” which increases the temperature of Earth’s climate. This, in turn, results in melting glaciers which raise sea levels, causing natural disasters such as tsunamis, floods, and food shortages. Fortunately, hundreds of nations all around the planet have agreed to set sustainability goals as outlined by the Paris Climate Agreement. Though progress is slow, action is being taken to reduce resource depletion. 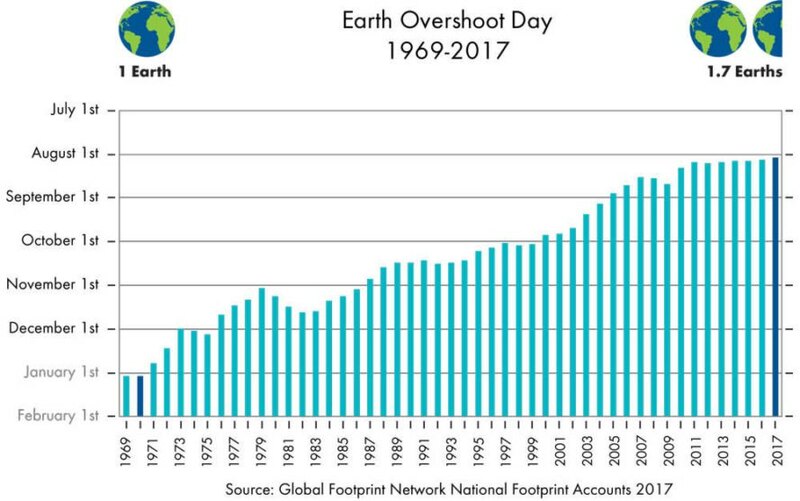 If you are interested in calculating your own overshoot day, visit the Global Footprint Network. As of August 2, 2017, humans have officially used more natural resources than the Earth can replenish in one year.